For the past year, Dr. Boyd Bradshaw, his team and colleagues from central Indiana University administration have been responsible for establishing IU Fort Wayne as an IUPUI campus center ready for hundreds of students to begin or continue their collegiate careers on Aug. 20, the first day of classes for IU. The associate vice chancellor for enrollment management and chief enrollment officer has the goal of enrolling 300 first-year students to begin health sciences programs under the IU banner in Fort Wayne. The 300 will join 150 returning sophomores, also known as "movers," as the first official IU Fort Wayne undergraduate student class. Since Indiana University-Purdue University Fort Wayne had historically conferred both IU and Purdue degrees, upperclassmen already enrolled in IU programs will be absorbed into the new Purdue Fort Wayne but allowed to finish out their original program and receive an IU degree (known as the "teach out" students). "We've created the enrollment infrastructure from scratch," said Bradshaw, who is based at IUPUI while coordinating efforts with his IUPUI and IU Fort Wayne colleagues. "To look at it today, the fact that we're going to bring in our first class of students is really remarkable." Now that IU Fort Wayne is officially recognized as of July 1, Bradshaw's team continues to work through the student lifecycle system and processes while he is looking ahead to 2019 and spring transfer students. Building a new campus center from scratch takes a lot of work, and it will take more work to sustain and grow it. With Bradshaw and his team, those prospects look favorable. Question: What has the energy in your office been like lately during IU Fort Wayne's formation? Answer: A year and a half ago, nobody knew this would be on our plate. It has been an adventure. It has been, truly, a combination of hard work from a lot of different people across campus and the IU system. It started with IUPUI and central administration, Jim Kennedy (IU associate vice president for university student services and systems) and his team working together, and that partnership continues as we work to complete enrollment and grading-system processes. Q: Can you tell me more about the "movers?" A: The term "movers" are students who were admitted to IPFW with the understanding that they would ultimately be IU Fort Wayne students, receiving an IU degree in nursing, medical imaging or dentistry programs. The rest of the students of the IUFW student population will be new pre-majors. These are two distinct groups of students we are working with. The "movers" will retain any scholarships they've received, which speaks to the partnership that we've developed to ensure that IPFW students transitioning in this process are a top priority. Q: How did you attract 300 incoming students to a brand-new campus? A: IU already had a presence in the Fort Wayne community as part of IPFW. Then, our first IUFW staff member was an admission recruiter, Abigail Schnelker. She had previously worked for IPFW. We created an aggressive marketing and recruitment campaign, which has led to 806 applications as of this week. We've admitted 632 students, and we anticipate enrolling 300. We feel that is a wonderful accomplishment in the first year. Most applicants are from the local market for Fort Wayne. Where I think is an opportunity for the future is attracting students from our bordering states. Ohio, which has recently joined the Midwest Student Exchange Program, is an opportunity to expand. Q: What else has gone into the infrastructure of IU Fort Wayne? A: We had to build out all processes relevant to a student life cycle: scholarships, financial aid, bulletin, registration, enrollment, grading and transcript processing. It's really been an accumulation of the hard work from admissions, student financial services and the registrar's office. Really, this was a huge effort with incredible work from central IU administration, the IUPUI team, and our wonderful colleagues at IPFW, as well. As of July 1, the staff at Fort Wayne are positioned and ready to continue our move forward. 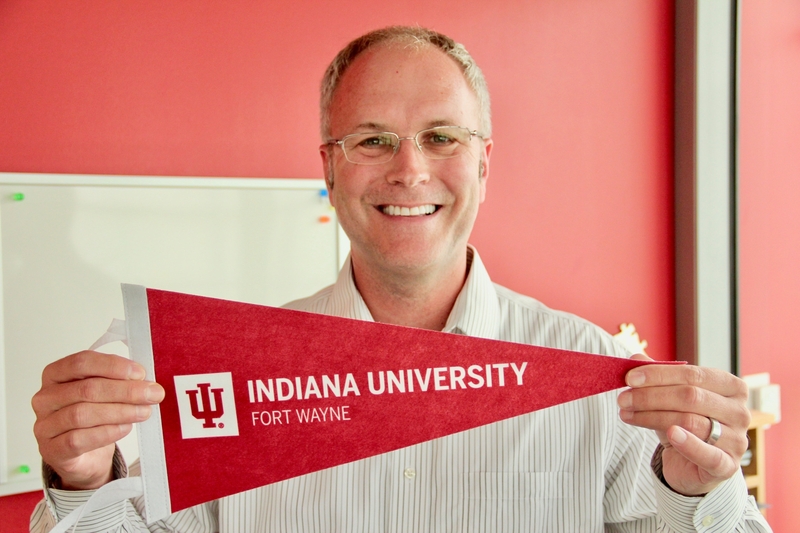 Q: How do you see IU Fort Wayne fitting into the IU system? A: There are some unique program offerings that we feel could really support the Fort Wayne community and further build the IU brand. The IU brand is strong; our goal in Fort Wayne is to deliver quality programs and education in support of that brand. We are committed to the Fort Wayne community and look forward to building strong programs and partnerships moving forward.